My mother is Patricia Elizabeth Males of Cambridge, England – born 1931 to Edward William Arthur Males and Vivian Curling. This is her family. Various Males family researchers believe Hertfordshire to be the family homeland and there exist numerous Males family trees from that region. My earliest definite Males ancestor is one George Males who appears around St Giles. Apparently he was a “carman” (“Horse and Cart Man”). He died before 1835, because that is when his widow Sarah marries Henry Reynolds. He left three children: George, Elizabeth and Sarah Ann. Sarah married Enoch Henry Poulton. The 1881 Census shows that John George Males was born in St Lukes, London, in about 1820. John Males did not follow in his father’s footsteps, choosing to become a silversmith and jeweller. In 1844 he married Catherine Bradbury (born c.1824 in St Georges) at St Giles, London. 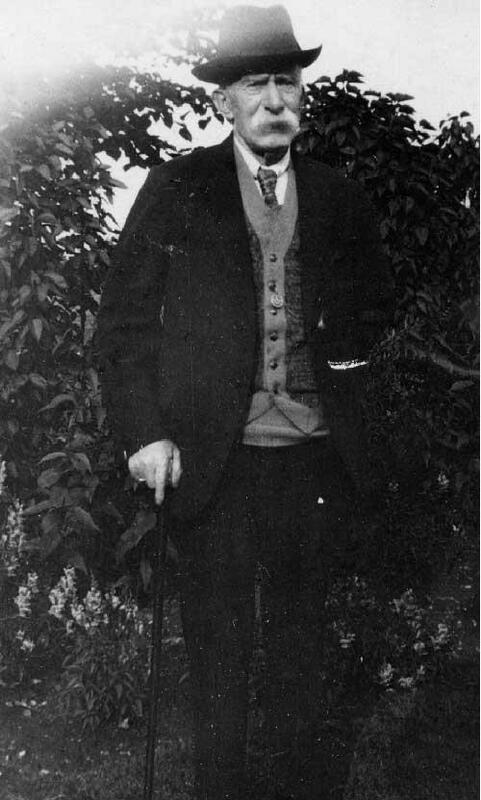 He had six offspring that we know of, one of whom was was Edward William Males (born 23 December 1852, Newington, London) and Elizabeth (born c. 1870, Islington). At the time of Edward’s birth the family resided at 85 Hill Street in Walworth, south of the Thames. Edward embarked on a career with the Royal Artillery when he reached adulthood and on May 14, 1882, in Islington married Nellie Arthur Barriball, a nineteen year old domestic servant. This romance has generated some conjecture. One of the witnesses was Selina Jane Barriball, whom the 1881 census shows to be the wife of Louis H Barriball, silversmith, At the time Nellie’s father Thomas, a tailor, was deceased and her mother Emma (formerly Brendon) is not mentioned. It is supposed that Louis (possibly a brother or cousin) knew the Males family through John Males and that this is how the couple met. Edward is shown in the picture below in his older days. On 4 April 1884 the union was blessed by the birth of Edward William Arthur Males in Christchurch, Hampshire, where Edward had been made Quarter Master Sergeant for the Royal Artillery. It is believed that the other children born to the couple are Jack, Harold, Florence, Eva, Phyllis, Kit and Dorothy. In a letter to me my Aunt Phyllis (Edward W A Males’ daughter) stated that the family went to India while the eldest son was only a young boy. “He (young Edward) had dark brown hair, hazel eyes, well built. It seems he went to school in India. Came back to England at 11 years.” Once back in England young Edward attended school for a further two years before becoming an apprentice electrician. Eventually he moved on to becoming a High Tension Cable Jointer, married Vivian Annie Curling (step-daughter of a local publican – William Widdows), and began a brood of nine children located in Cambridge. Meanwhile the senior Edward retired from the army and to suppliment his pension took up a position as doorman in a Cambridge hotel. 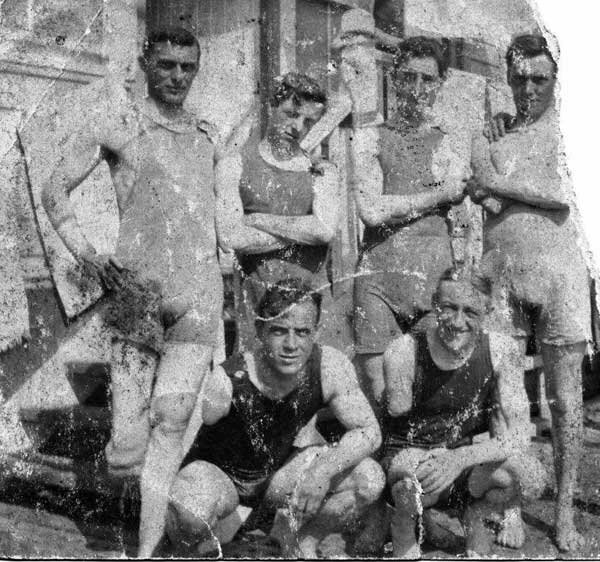 During World War One the now 30 year old Edward joined the Royal Engineers and, while laying cables at the Battle of the Somme, lost his leg and nearly his life (see picture below – standing top far left). However he returned to Cambridge with a wooden leg and continued working as an electical engineer.